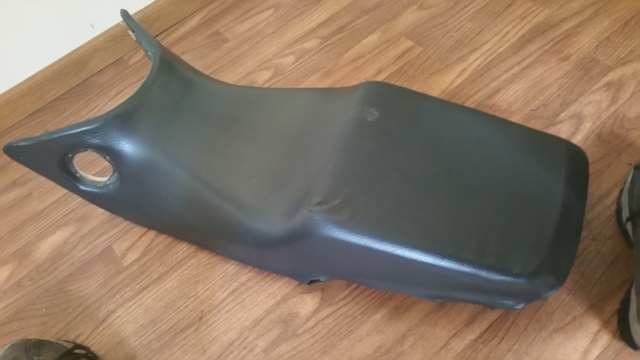 Search on ebay, gave a few options for a seat cover. Mine has a rip and a few spots torn. Not to mention looked ruff. So I bought a cover on ebay for about $42 total. Usa. Came with instructions. I do recommend 1/4 and 1/2 inch staples. 1/4 inch used thru out. More so then the 1/2 inch. Heavy duty staple gun. A few spot on the sides were hard to staple, due to protruding plastic in the same spot I needed to staple. Took my about 1.5 hours to remove the old staples and install new cover. Cloths pin and clamps are a huge plus. Last edited by Sporty982000; 07-11-2016 at 06:44 PM. What about the condition of the padding? I would think after this many years, it should be replaced too.? 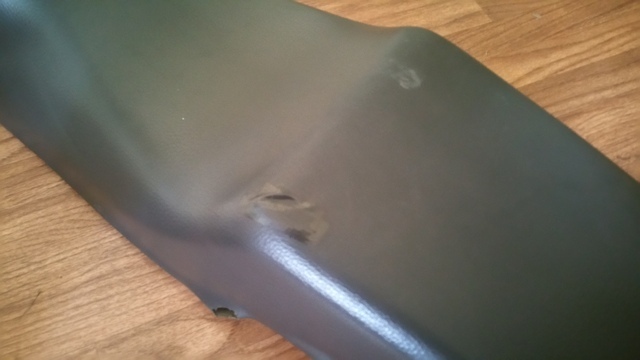 My padding was in great shape. No tear or sag. I was impressed. The bike was really taken care off. Till it was sold to someone who wiped out on it. Then sold it, and that guy fixed it except for some of the plastic. Which I replaced some and working on fixing right and replace what I can't fix. Outstanding job. From the pics, it looks factory. 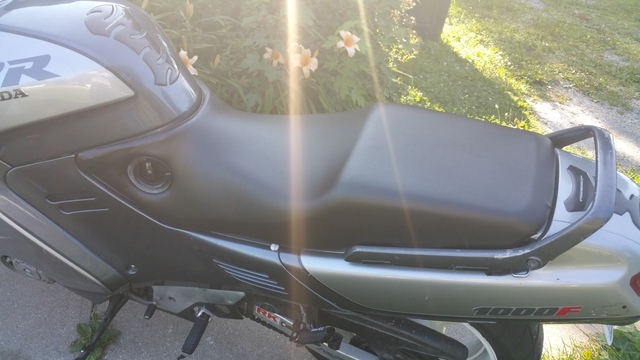 part needs replaced, left crankcase cover? 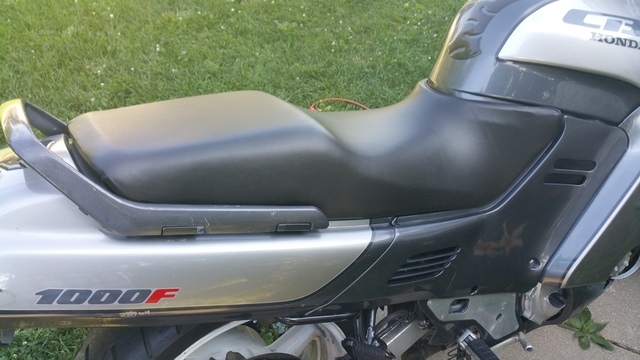 Quick Reply: Replaced seat cover, pic.